We live in an age where those who are older are often shoved aside. This is true in the professional world with employees. This is also true in churches which often find themselves pandering to those who are younger or more financially powerful, while forgetting the aging and powerless. Let's remember that God cares what happens to each one of us, no matter status or stature or age. 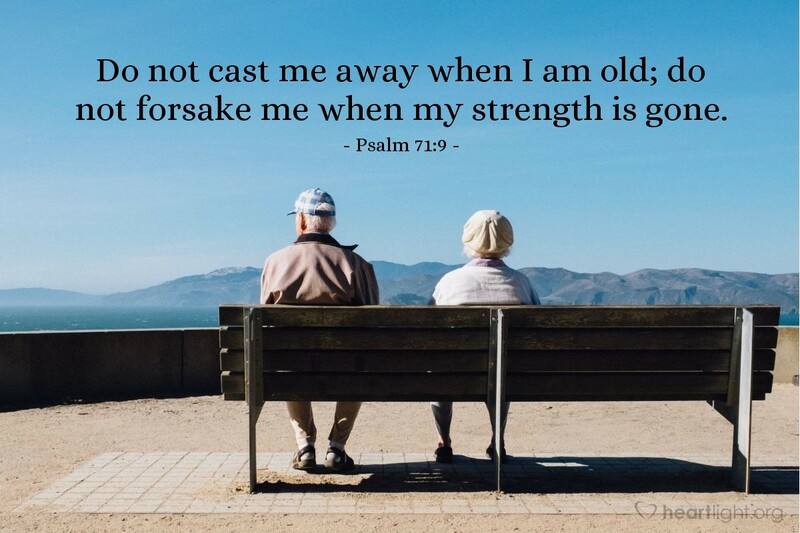 Almighty God, I know that you will never leave me or forsake me. I believe the promise that nothing can separate me from your love for me in Christ Jesus. But Father, I see so many who are older and forgotten that I must admit that I am frightened that I, too, will face loneliness and feebleness in those last days. Please give me confidence to cast my anxieties on you and trust in your presence. Most of all, Father, I pray that you will be glorified in my body in life and death, in health and sickness, and in youth and age. In Jesus' glorious name I pray. Amen.